Legislation in Mississippi that would prohibit state fund investments in and state or local contracts with companies that boycott Israel died on the calendar, but a bill that would allow the state to make investments in Israel Bonds is still working its way through the Legislature. House Bill 747 authorizes “a portion” of excess state funds to be invested in bonds “issued, assumed or guaranteed by the State of Israel” provided that they have a credit rating of AAA. The measure, introduced by Rep. Hank Zuber of Ocean Springs, passed 113-2 on Jan. 31 and was sent to the Senate on Feb. 2. A similar bill, SB-2051, had been introduced in the Senate by Joey Fillingane of Sumrall. It was passed on Feb. 8 with an amendment that the investment be denominated in dollars, which Israel Bonds are. Alabama and Louisiana are among states which permit investments in Israel Bonds, and each has several million dollars invested. House Bill 837, introduced by Donnie Bell of Fulton and Greg Snowden of Meridian, bars participation in the BDS movement that seeks to isolate Israel economically. The bill, which passed out of committee on Jan. 31, required the Public Employees Retirement System and the treasurer’s office to identify companies that are involved in boycotts of Israel and prohibits “direct or indirect” holdings in those companies. On Feb. 8, the bill died at the deadline for floor consideration of measures originating in the House. Tennessee, Alabama, Georgia, Florida and Texas are among the 24 states that have passed anti-BDS measures. When Obama signed the Trans-Pacific Partnership in 2015, there were anti-BDS provisions in it. An anti-BDS measure shepherded by Rep. Valarie Hodges of Denham Springs passed the Louisiana House last June but was bottled up in the Senate. 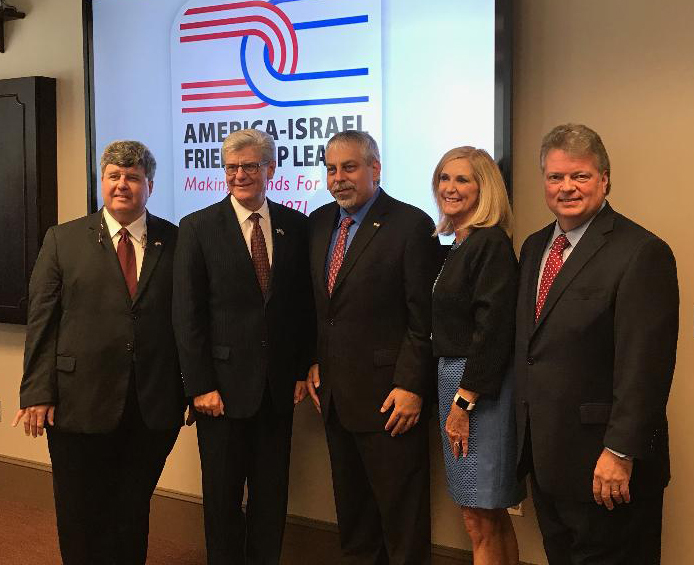 Mississippi Governor Phil Bryant has led three trade missions to Israel in the last four years, and a Mississippi-Israel trade seminar was held in Jackson in 2015.